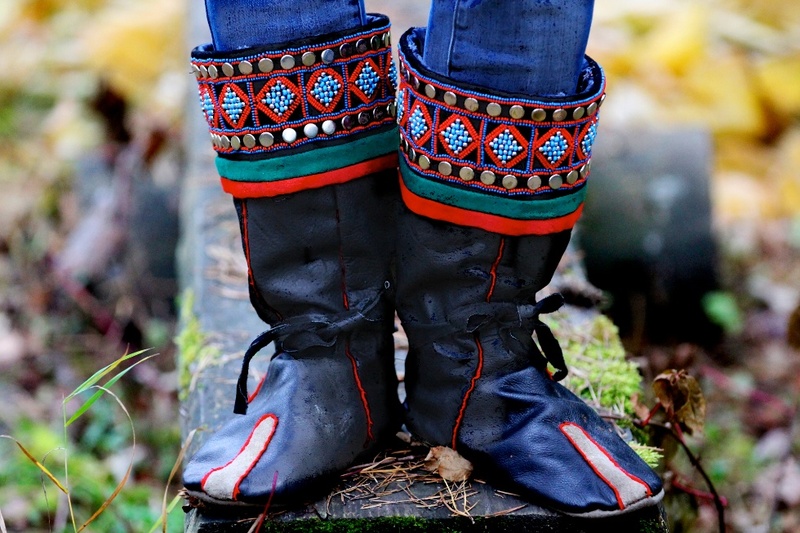 Famous Yakutian boots = kamiks = torbasa. 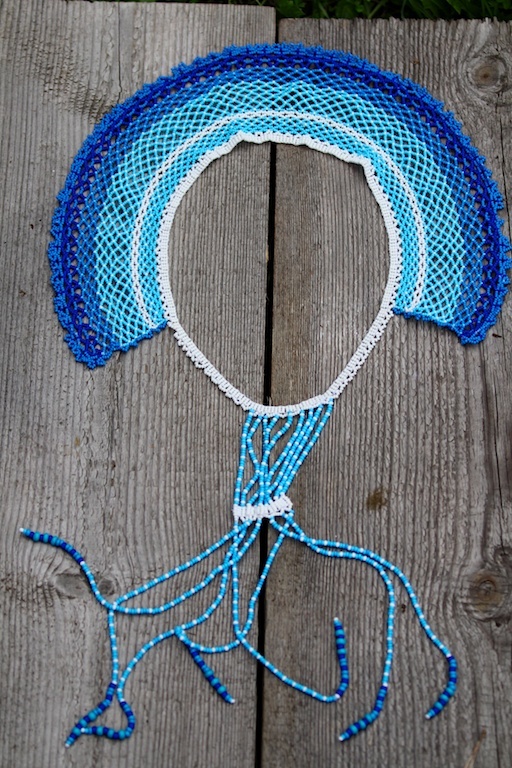 They were made by 81 year old Anna Akimova who lives in a tiny settlement in Taatta, Yakutia. They have travelled for thousands of km by dog-sled, in a small open boat, in the tractor’s scoop, by train, by helicopter and by plane – all the way from Yakutia to Chukotka to Moscow, to Copenhagen and finally to New York City. Anna says: “The ornament of these boots has a healing power. It’s the scripture of our ancestors. It’s a special language of symbols. It can be understood by anyone who accepts and understand the beauty of Life.” These are magic boots! You can fly in them – all around the world. 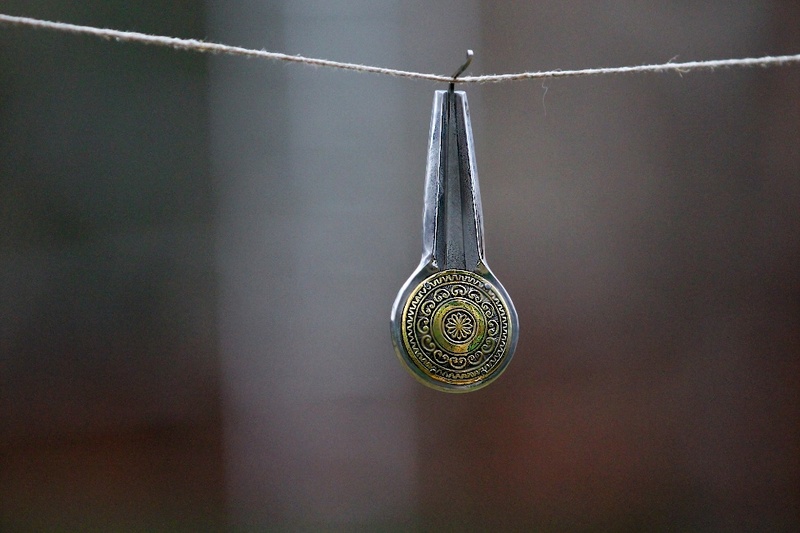 This little Ujameq, a neckless, made by the most talented Greenlandic artist Duda Sørensen from Upernavik too travelled with us all around the world… From Upernavik – to Siberia – to Washington DC! We photographed it everywhere – on roaring sea and on frozen land – because it was so precious for us! When Duda made this amulet for Expedition Avannaa, she said this Ujameq will protect us from all bad spirits and maybe – even will make us invulnerable! And it did! This Iqiq-paluut made for Expedition Avannaa by our friends in Taatta has been played in Greenland, Yakutia, Moscow, Chukotka, Central Asia and in New York! Iqiq-paluut is from the word “iqiq” which means the “corner of the mouth.” Iqiq-paluu” means “one that is played from the corner of the mouth(iqiq). That is the origin of the word for “Iqiq-paluut.” In Yakutia, Siberia – we call it a хомус = khomus, in Tuva – demir-khomus, in Chukotka – ванны яяр- vanni-yaar, in Hunti-Mansi – tumran, in Kyrgyzstan – temir-khomuz… This is instrument that connects people across the borders in the Arctic and in the rest of the world. 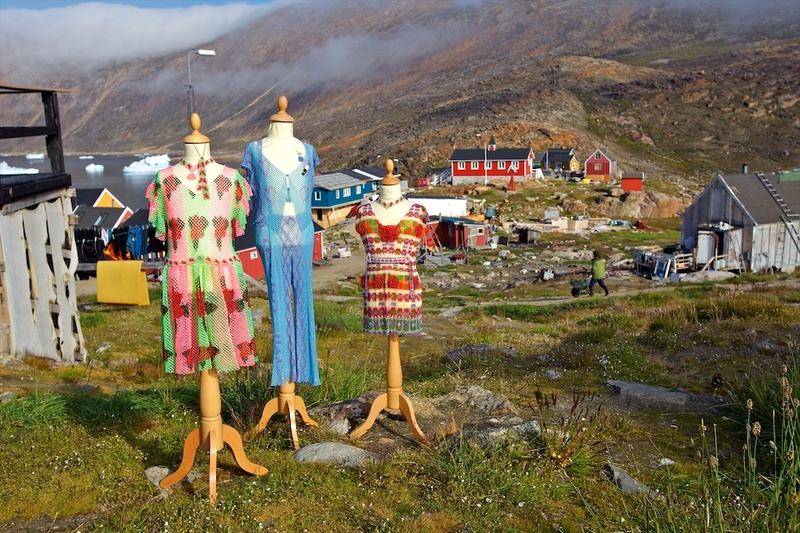 Nikolai Kristensen who lives in Nuussuaq – a remote settlement in Upernavik District in Northwestern Greenland – makes dresses out of beads. We met his by pure chance when we were caught by a storm and he offered us a shelter in the middle of the night. Nikolai does not make plans, designs, or outlines. He makes his dresses out of cheap little beads and out of pure love of his heart. He can not predict what will happen with these little beads next morning: he just touches them and miracle happens. Nikkolai’s knives are beautiful and sharp. We used one of them on our small open boat while traveling to the world’s northernmost settlements in Avannaa. And then it too travelled with us all the way around the globe! It gives you a sense of home when you miss your loved ones. Works perfectly in Chukotka and in Los Angeles! 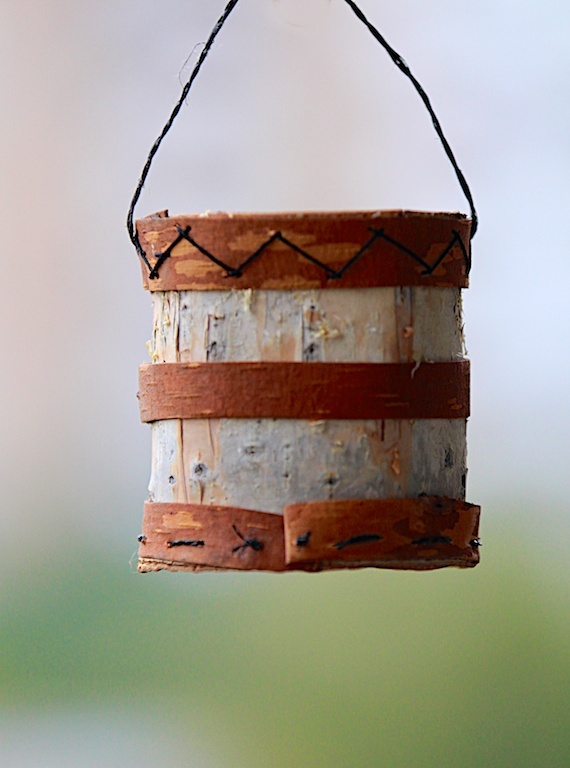 This little bucket made out of birch bark was made by 93 year old Praskovia Mattanakova for Expedition Avannaa. You can keep water, mare’s milk and everything else in it – it will never get sour. It’s a magic bucket that helped us so much along the road. 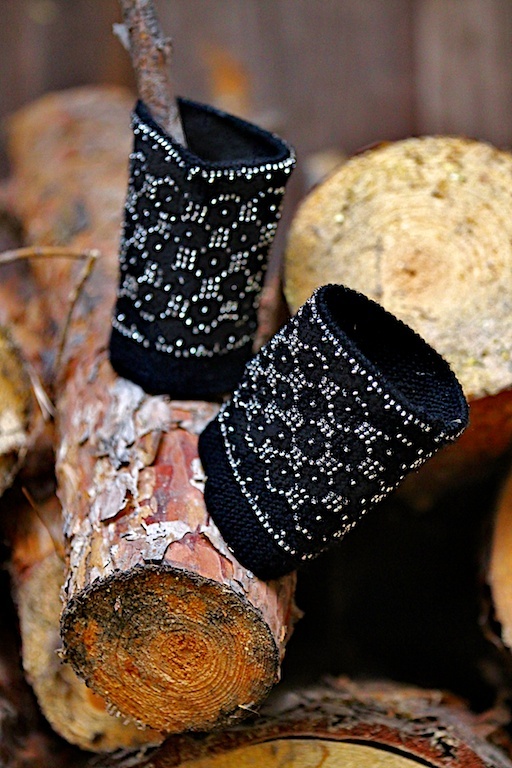 And these hand-warmers made for Avannaa by Anso Hammeken, 67, saved us so many times during the blizzards in Chukotka. After all they too made their way to New York City. As we know now – they can decorate any dress at a hot party in Meat-Packing District. Young cosmopolitan New Yorkers love to wear them! Izabella Elyakova, 61, has become an artist after she has lost her husband and then her only son to the war in Chechnya. She thought she would die from grief. 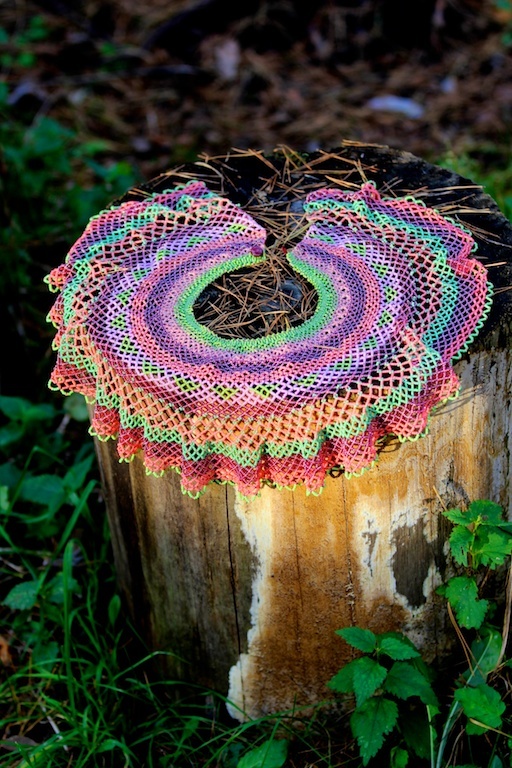 So, in order not to die, she started to make Art. This was her survival technique. 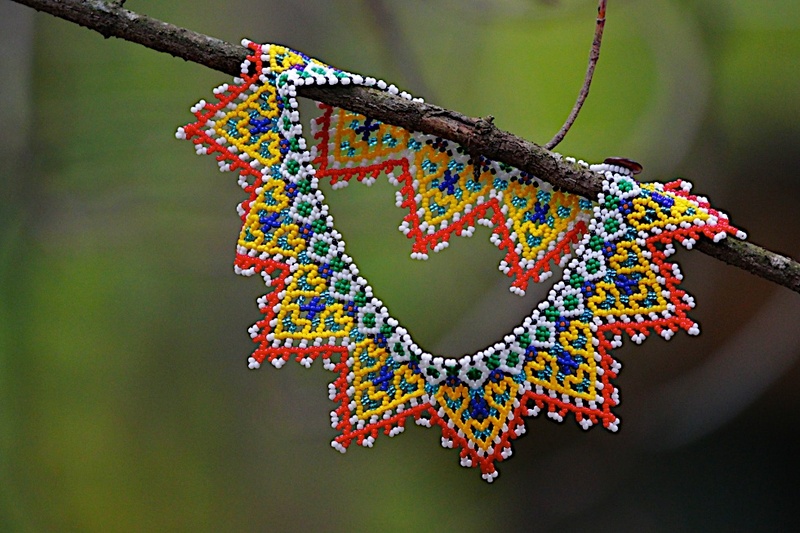 This neckless – from her series “Izabella’s Dreams” has travelled with us around the world – before returning to her settlement in Yakutia. 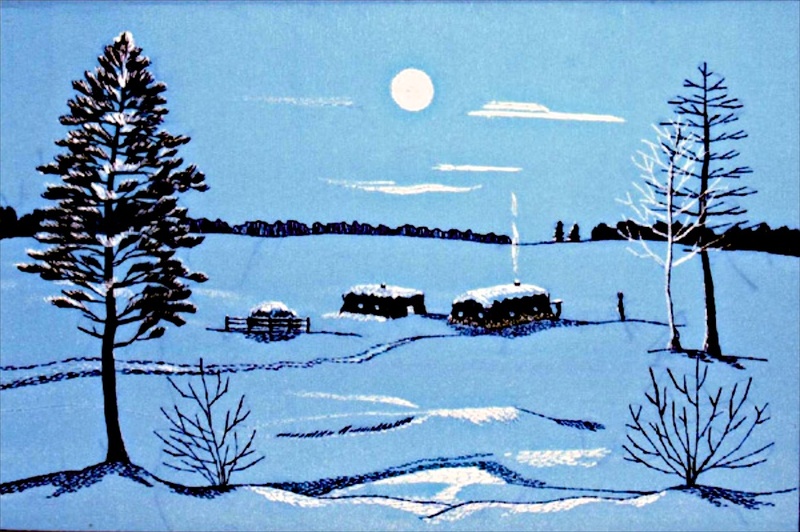 Izabella lived for many years on the Pole of Cold, between Oymyakon and Vekhoyansk. That’s why so many of her works are related to the True Winter, to the True Cold. Despite it, people in the South, in Central Asia and Mongolia, embraced her designs as their favorite ones. Another vagabond – a true member of Expedition Avannaa. Margarita Spirova, a young artist from Yakutia, has only one working hand – the left one. But look what she can do with this hand! 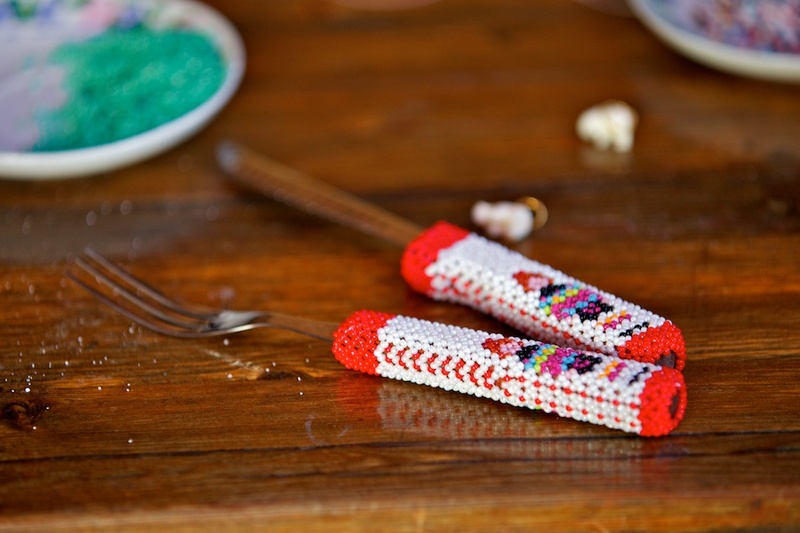 She has mastered so many crafts – from bead work to sewing from birch bark. This is her painting “Alaas in the Moon Light”. I am sure that even those of you who have never been to Yakutia, will feel as if you are there, right now – at this very moment. One handed Artist. Margarita Spirova. Yakutia, Siberia. And then… What will you take with you on a boat traveling in the drifting ice for thousands of km when even a second book is a burden? Chess! This chess set was made by Valery Vykvyragtyrgyrgyn, a brave man of Chukotka who is not afraid of a polar bear. And now imagine – what it feels like – playing chess during the long polar night which may last up to 4 months – depending on where you play. 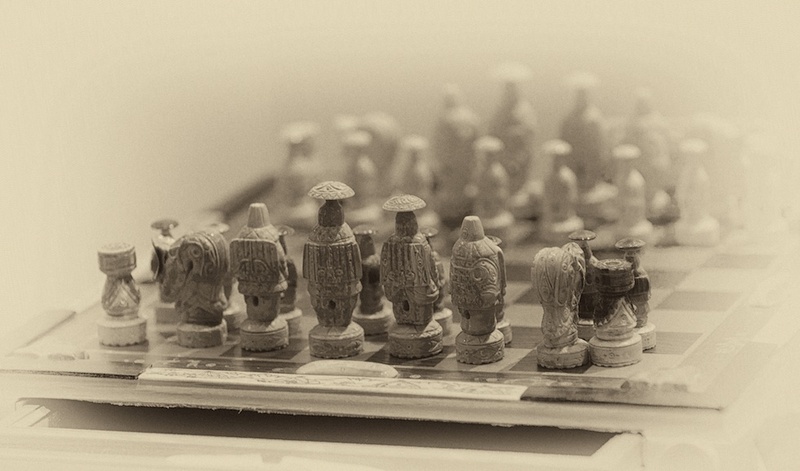 You play and laugh all the time – this is what Valery’s chess set is about. Let’s play chess the Chukotka Style! And finally, Ulen… This is the place where Bering Sea meets the Chukchi Sea. It is the easternmost settlement in Russia and in Eurasia. Uelen the closest Russian settlement to the United States. Alaska is just steps away, across the Bering Strait. These fantastic things are being made here by our friends. Ребята, Вы потрясающие!!!!!!!!!! Хочу дружить и общаться! Снимаете ли фильмы, есть ли выставки? Будете в С-Петербурге, давайте встречаться – моб. 8 (921)8835852. Могу устроить выставку, презентацию и многое другое. Удачи! What a fantastic project “AVANNAA”! Congratulations and all the success. What a beautiful Art and congratulations to all Artists! I am an Artist with Spanish and Portuguese background and living in Australia for 30 years. I paint, write poetry, play the mandolin, piano, clarinet and flute and I am a teacher/educator and a scientist/researcher in Environmental Sustainable Development and Healthcare technologies. I admire your program and all Artists from the Arctic. I would love to keep in contact and be involved in any opportunities to exchange cultures, arts, music, poetry, nature, etc. Congratulations and with love and friendship for all!